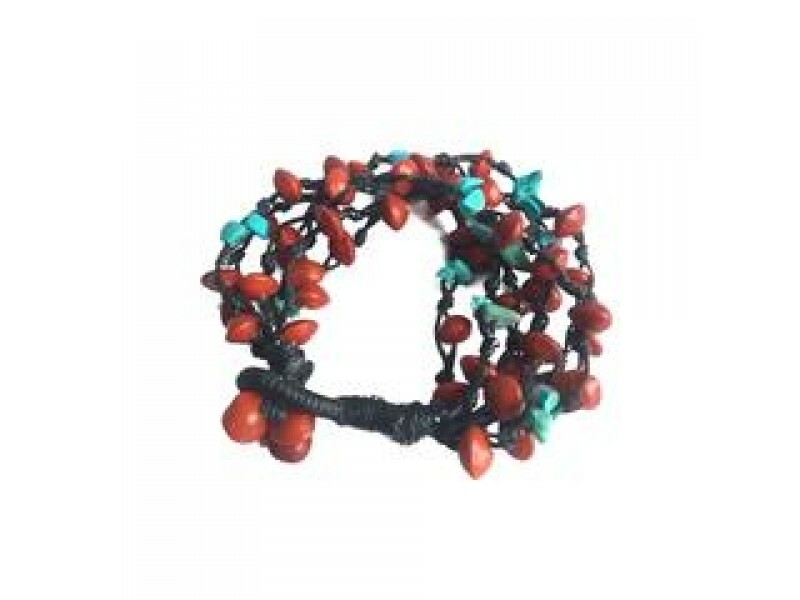 This bunch of luscious strands of vibrant red love seeds, from the sandalwood family, can be worn as a statement piece, or as a casual addition to your jeans and tee-shirt. Red love seeds rain from trees in Phnom Penh and the provinces during the monsoon season. The artisans at Khmer Creations collect, wash and dry the seeds and use them in our jewelery. Each seed is individually hand drilled and threaded onto waxed cotton with a few chips of faux turquoise. Materials: Love seeds, imitation turquoise, waxed cotton.